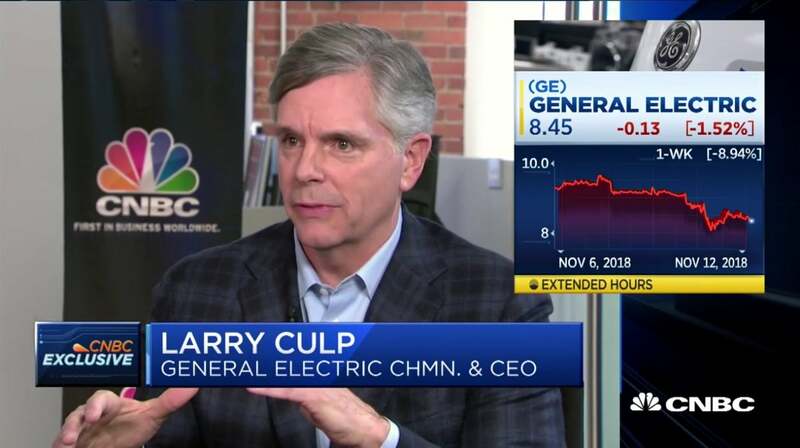 The following is the unofficial transcript of a CNBC EXCLUSIVE interview with General Electric CEO Larry Culp and CNBC’s Jim Cramer on CNBC’s “Mad Money w/ Jim Cramer” (M-F 6PM – 7PM) today, Thursday, March 14th. JIM CRAMER: Wow. Okay, on our 14th anniversary show, do you really think we'll just do just any old regular show? No. Here's what we're doing today. We've got Larry Culp. Larry Culp is the new CEO of General Electric. And we've got to ask ourselves, "Is this it? Is this the turning point for what has been an ailing business?" Earlier today, GE issued its long awaited guidance for 2019 and beyond. The near term numbers were far from good, but not a surprise if you've been paying attention to the recent analyst meeting. And yesterday the stock got hit. But then Culp started talking on the conference call and Wall Street clearly liked what he's had to say, as did I. GE -- closing, up 2.8%. I don't know, could be a bottom. I'm not so sure about some of the longer term forecasts here, especially for the troubled power division. But this is a huge story. And it deserves a much closer look. So let's check in with Larry Culp, the Chairman and CEO of GE, to get a better sense of where his company's headed. Mr. Culp, welcome to "Mad Money." How are you, sir? JIM CRAMER: Okay. Thank you so much. JIM CRAMER: I could not resist because we wanted someone big for this one, and we got the biggest. Okay. I rarely am asked about a company more than GE. And it's never what you want to be asked. It's, like, "Can they make it?" What was your message today? JIM CRAMER: Okay. There is a group of people who watch this show-- who -- they own GE. They probably own more GE than anybody else-- anybody else's show. And they hear the term reset and they don't know what that means because all they know, it's like a videogame term. What does reset mean for the average person out there? LARRY CULP: I think for the average person, particularly anybody who holds our stock, they know we have a host of issues, no shortage of opportunities, but we have a number of problems we need to work through this year. What reset means, Jim, is this is the year that we share with the world what those issues are and the plan that we talked through today as to how we're going to address them. It's going to take some time and we won't be finished come New Year's Eve. But if you give us a little bit of time, we'll, I think, make a lot of progress. JIM CRAMER: Now, when-- the average person hears that, I think the first thing that they say is, "Well, hold it. You say it's not going to turn any time soon. Why the heck should I hold onto it or even buy it?" LARRY CULP: Well, this a personal investment decision. LARRY CULP: And I have never hawked a stock. I think what we're going to try to do, frankly, is to share with people in as transparent a way as we possibly can, what those issues are. The same time, what the opportunities that we see in the businesses are, and the plan that we have. But it will take time. And we don't want to sugarcoat this, right? This is not a quick, 90 day, half-year fix. This is going to take a while. We are where we are. But we'll get through it. JIM CRAMER: All right, now I want people to know at home that Larry's an outsider. That's a very significant thing because GE is currently hired from inside. As an outsider, what have you seen, and can you tell us how things could've gone so awry in a tremendous economic expansion? LARRY CULP: Jim, I'm an outsider. I spent 25 years at my former company. But it's a company I've studied. It's a company I have learned a lot from, albeit from the outside, over a long period of time. So I come with a little bit of a perspective on the company. What have I found? I found a very strong team. This team has been through a lot, but I think it's a resilient, certainly a capable team that knows where it is and wants to do better. I have found customer relationships the world over, like I've never seen before. A lot of that comes from the fact that we not only sell big ticket equipment, but we live with our customers and that equipment over ten, 20, 30 years in supporting the equipment and frankly, the technology that undergirdsthose relationships is really quite special. JIM CRAMER: Okay. The technology for aerospace is second to none. There isn't anybody who would disagree with me. At the same time, Boeing just had some serious issues involving safety. We don't really know the source of it. How long can Boeing have 737s grounded before we have to start worrying about the best division you have, Aerospace? LARRY CULP: Right. Jim, I think our focus, like Boeing's, has really been on safety here in the wake of the tragedy in Ethiopia. It struck close to home for us at GE not only because Boeing is a key partner in our relationship or our joint venture with Safran, we lost two of our own people in that-- in that tragedy. I think we're doing all we can to work with Boeing, with Safran, the NTSB, the authorities on the ground in Ethiopia in addition to the airline, to get to root cause. But other than that, it's really premature for us to -- to talk about what impact may fall from this on our own businesses. JIM CRAMER: Now-- when you came in, obviously, you had been on the board. There was a perception that maybe things were earnings risk. One time we heard a number of $2, which-- obviously, that didn't come true. It turns out that balance sheet risk is equally as important. You've made some moves already. I thought they took care of the risk. There are some critics, some analysts we all know, who have been saying, 'You know what? Not so fast, Jim. You may think that it's great that he sold this division for a fortune to Danaher,' your old employer. 'But what really matters is that you're not thinking about long term care issues and you're not thinking about power issues. And that both of those present a real risk to the bonds, which therefore can translate to the stock.' True? False? Where do you come out? LARRY CULP: Well, I think you, like me, and I'm sure many others who follow the story are thinking about all of those issues, right? I mean, there's a reason we talk about our number one strategic priority being restoring the balance sheet to a better, stronger position. We've been very clear about our intent to reduce both the leverage on our industrial balance sheet and at GE Capital. I think we're making good progress in that regard. We'll have the better part of $40 billion of proceeds once we get to the other side of our sale of our biopharma business to Danaher, the-- the monetization of our stake in Baker Hughes, and the-- the Labtech merger that just closed, right? There's a lot of capital there that we're going to be able to put to use to bring down the leverage on the industrial balance sheet. We're at work on the capital side in-- in a similar fashion. We have $10 billion of dispositions planned this year to continue to bring the leverage down. But this is something that is great to be a long time in-- in-- incoming because those transactions will play out during the course of the year. The issues you referenced in power are ones we're going to need to work through. And long-term care, as I think many people who tuned into our teach in last week understand, that's a real obligation on our part. But one that we'll see through over a long period of time. JIM CRAMER: You have made things far more transparent than what I'm used to from GE, whether it be the way you describe different divisions, 16 words per each, which I love. The way you do accounting looks like a lot of other companies. But it does come out, particularly the presentation you made today, was kind of stunning about how power has so many problems. And we all knew they were problems. The first thing you have to do is you talk about let's give them a name, a fantastic letter, you put it. But now that we have a name, we come back and I found it daunting. I said, "Jeez, I hope that the decline in orders doesn't continue." But you seem to think that there's light at the end of the tunnel. But, you know, how do you know it's not an oncoming train? JIM CRAMER: --it's not fair to say "We." I know you care about your team and you're filled with team. But that was not your call. I want people to know that. LARRY CULP: But I'm-- well, I appreciate that, but I'm on that team now. JIM CRAMER: All right, fair enough. LARRY CULP: Right? So it is we. So going forward, we know we have to adjust our cost structure to deal with that. We know that there're a number of inheritance taxes, if you will, in the wake of the Alstom transaction that we need to tend to. And frankly, for the last several years, I think even the team would admit we have under managed this business. We can adjust our cost structure to deal with current market demand. We can de-risk our outlook by relying more on backlog and less on future orders. The Alstom obligations are what they are. They will tail off over time. And we're working very hard on a daily basis to run this business, which is still I think a good businesses, better. JIM CRAMER: Okay. You mentioned Alstom several times there. There's an article in The Wall Street Journal today saying that GE's leadership knew much earlier that the power segment had problems. Now again, that is not you, but I read this article about good will and it seemed like, well, something is wrong here. And someone should be held accountable for that. LARRY CULP: Well, I read the article as well, right, and I think we do have issues in power. I wasn't there in-- in even the board room prior to last spring. I took on this role five and a half months ago. So I can't really talk about what people knew at the time. But if I look at 2018, I knew this was a bit of a fluid situation even inside the company as we were I think getting our arms around that reality. With respect to the accounting, the accounting around the Alstom merger is complicated. Not only because the headline price was what it was, but remember, we also committed to a number of joint ventures. And we took on some other liabilities. So I don't want to get into the-- the-- the-- the bowels of the accounting, but I think there's a rationale there which we've certainly tried to explain in our disclosures in concert with our auditors. But it is clearly something under review and we'll work with the regulators to see that through. JIM CRAMER: Sunlight, the best disinfectant, as Justice Brandeis said. Now, I do feel that we have to make this comparison between the S&P 500 and what GE's done. Now, you came in and you bought-- you bought more than $2 million worth of stock. You're actually up on the stock. Congratulations, that's good. You got a pay package, which clearly incents you to get the stock back to 31 before the-- before the decline-- really began. What do we tell people? Listen, we know you've lost money. We know that it's a difficult situation. But these-- this gap can turn and not because the S&P goes lower. JIM CRAMER: Jim, again, I don't want to make stock recommendations. LARRY CULP: I know, but you have to understand people-- I'm not asking you to hold people's hands. But, do you regret that you took a pay package where you make up to seven million shares in 30 and 31? LARRY CULP: Jim, I have no regrets. I have had a blast the last five and a half months being with this team, with these customer relationships and all that we do for our customers, all that we have under development from a technical perspective. There's a lot to do here at GE. I hear from shareholders, I hear from employees, from retirees, all sorts of folks who have really born a deep and personal financial pain given what's happened in the la-- the company the last several years. Frankly, that's been part of my own motivation to take this on, right? To try to make this right for the-- the people on the payroll and the people who are very much a part of the GE family. And all we can do is, again, embrace the reality that we have. We have opportunities. We certainly have some problems. It'll take us a while. But if people give us the benefit of the doubt, I think they're going to see improvement over time that is sustainable and should translate into the value for shareholders. 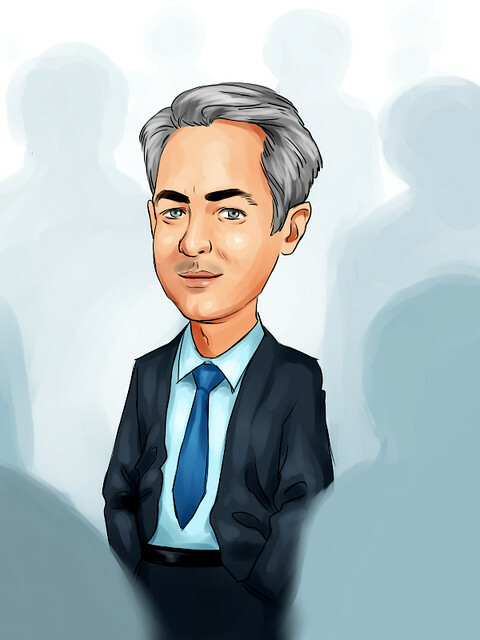 JIM CRAMER: Because of your fabulous work at Danaher, which was one of the remark-- most remarkable tenures I've ever seen a CEO have, you deserve the benefit of the doubt. I will tell you that I believe-- can't speak for the American people, I know better than to do that. But there are tens of millions of people who are pulling for you to bring this thing back to where it was and then some. I want to thank Larry Culp, Chairman and CEO of GE. And thank you for the nice comments about our fourteenth anniversary. Stay with Cramer.